(NaturalNews) There is nothing quite so horrendous and heartbreaking as a baby with a malignant brain tumor, especially for parents and family. But at the same time, there is little as joyous and uplifting as seeing those tumors go away – and without the costly "assistance" of the corporate medical industry. Recently, the father of an eight-month-old baby decided he would shun traditional radiation treatment and chemotherapy and instead push for an alternative treatment using cannabis oil. The baby's physician, Dr. William Courtner, who was initially skeptical earlier in his career about medical cannabis, has since seen such impressive results with it that he's not a big believer and a staunch advocate. And the baby, by the way, was a huge reason for his conversion. "They were putting cannabinoid oil on the baby's pacifier twice a day, increasing the dose... And within two months there was a dramatic reduction, enough that the pediatric oncologist allowed them to go ahead with not pursuing traditional therapy," Courtney said in an interview with The Huffington Post. At four months the tumor had completely disappeared, and after eight months of treatment, the brain architecture and tissues were completely normal, making the toddler a "miracle baby" in Courtney's words. The physician further noted that successful application of cannabis in this case means that "this child, because of that, is not going to have the long-term side effects that would come from a very high dose of chemotherapy or radiation... currently the child's being called a miracle baby, and I would have to agree that this is the perfect response that we should be insisting is frontline therapy for all children before they launch off on all medications that have horrific long term side effects." Long before voters in some states have approved ballot measures legalizing marijuana for recreational use (it is still against federal law, by the way), many states permitted the use of pot to treat various medical conditions – from cancers and asthma to neurodegenerative diseases and autoimmune disorders. This makes sense, because numerous studies have shown that cannabis has incredible healing qualities, and that is particularly true for cancers. Indeed, as we have reported, the National Cancer Institute has documented more than two dozen studies on how incredible the healing power of cannabis is. 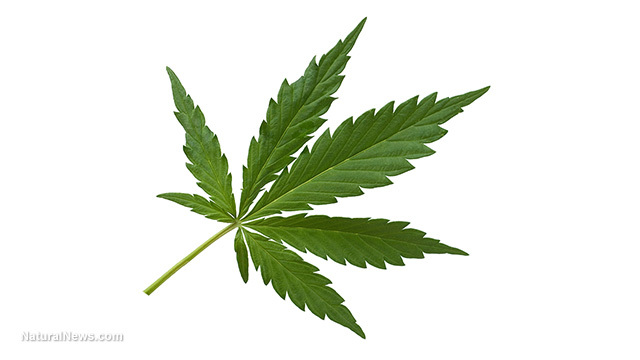 In animal tests, for instance, researchers have found that cannabis is effective in treating two forms of highly lethal liver cancer – hepatic adenoma tumors and hepatocellular carcinoma. Benign tumors in other organs, such as the pancreas, testes, uterus and mammary and pituitary glands, were diminished as well. Several reviews also found that cannabinoids appear to encourage cancer cell death (apoptosis), while preserving normal cells. Moreover, cannabis induces programmed cell death in breast cancer cell lines and offers protection against both colorectal and lung cancer. And, as the Free Thought Project has noted, even the mainstream media appears to be admitting to the fact that cannabis has wonderful medical qualities. As CNN has reported, there are at least 10 medical conditions cannabis appears to relieve. Also, the network's chief medical correspondent, Dr. Sanjay Gupta, says it's time for a "medical marijuana revolution." What's more, he said based on his research for a series of documentaries on medical marijuana, there is growing support among varied political constituencies and the medical community for Congress to reschedule marijuana from Class 1 (narcotic) to something much more benign (and fitting). Dr. Gupta is right – there is so much that is truly revolutionary about cannabis and marijuana, especially when it comes to treating cancer, so much that you'd be simply amazed.